In 2016, Borderless Arts Tennessee began visual arts workshops for individuals with disabilities under the program name of Teapot Diplomats through the support of a grant from the Tennessee Arts Commission. The first official group of 10 Diplomats were inducted in June 2017. At the end of the grant, Mark and Niki Antonini stepped in and their support has allowed the program to continue. In April, 3 more Teapot Diplomats were inducted into the program. 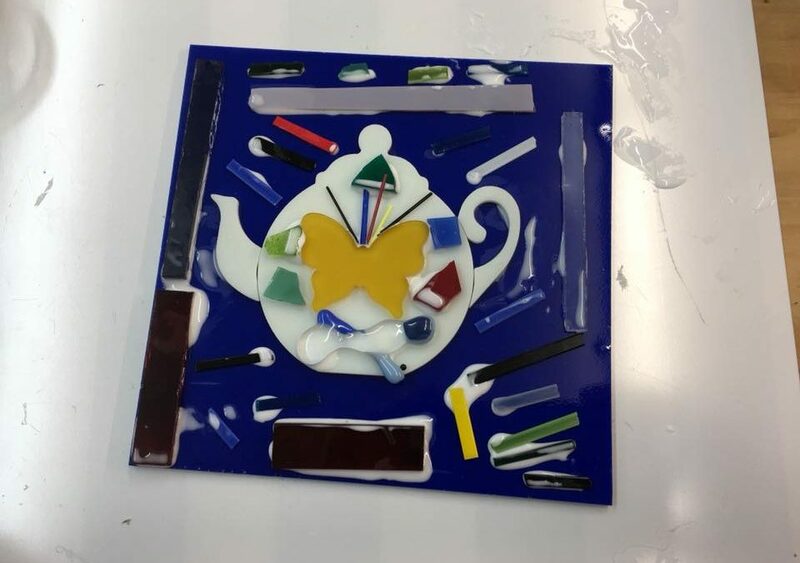 The mission of the Teapot Diplomat program is to enrich the lives of people with disabilities through creative opportunities while encouraging independence through business and communication skills that will lead to engagement in community endeavors. Borderless Arts plans to continue free art workshops for any individual with any form of disability. However, enhancements are being made to the program in order to better serve the participants and achieve the mission of the program. Borderless Arts Tennessee offers monthly workshops in various art techniques free of charge for individuals with any form of disability. These workshops are provided through the support of Mark and Niki Antonini. To achieve the status of a Teapot Diplomat, an individual must participate in at least 4 workshops during the year and be invited to become a Teapot Diplomat. Inductions will take place each spring. • Be invited to participate in special programs/activities of the program. The name of the annual Young Artist Award will be changed to Participant Artist Award to better reflect the demographics of our participants. Each spring, Borderless Arts will accept nominations for this award for one week. Self-nominations are allowed. A ballot of nominees will be sent to ALL participating artists both visual and performing. The selected Participant Artist will be acknowledged at a spring event. The participant will be given the opportunity to serve for one year as a non-voting member on the Board of Borderless Arts TN. Serving on the Board is NOT a requirement to accept the Participant Artist Award. If the participants does not wish to serve on the Board, a similar process nomination and voting process will be conducted of all participants to select a Board member representative. After an individual has won the Participant artist award, he/she must wait at least 3 years before he/she can again be eligible for the award. The Executive Director of Borderless Arts will select one individual who will serve as the Ambassador of the Teapot Diplomats for one year. This individual will be responsible for greeting individuals, registrations when needed, and host/hostess for events. The participant will be invited to this position based on participation, attitude, and speaking abilities. After serving as an Ambassador, an individual must wait at least one year before again being eligible for the position. The Executive Director of Borderless Arts will select on individual who will be a helper at all workshops. If a teaching artist needs an extra “set of hands” to complete a project, a participant is struggling with a project, or a participant needs to leave the room for a moment, this is the individual who will be in charge. The participant will be invited to this position based on participation, attitude, clear empathy for others, artistic skill, and composure. After serving as an Artist Assistant, an individual must wait at least one year before again being eligible for the position. The Executive Director of Borderless Arts will select an individual who will be the Exhibit Coordinator. Teapot Diplomats shall strive to have at least one exhibit of their art per year. The Exhibit Coordinator will be responsible for one exhibit in regards to collecting and delivering the art work, making exhibit tags for each piece of art, and assisting in other areas of the exhibit as needed. The participant will be invited to this position based on participation, attitude, artistic skill and demonstrated abilities to type and use measurements. After serving as an Exhibit Coordinator, an individual must wait at least one year before again being eligible for the position. *Exceptions to eligibility for two years in a row may be made if no other Teapot Diplomat is willing or capable of taking the position. The certification program will be in a pilot phase for 2018-19. Borderless Arts will assess evaluations from participants and interest level at the end of the 2019 fiscal year to determine its permanence. Borderless Arts Performance Teaching Artists raised the question in 2017 about offering Teapot Diplomat Status also to performing artists. Therefore, performing artists can also receive certifications in the areas of Business and Communication. There may be the opportunity for Performance Art Technique Certification in the near future. Each certification area will be comprised of 3 3-hour workshops. Any individual with a disability may attend any of the workshops for his/her professional development. However, in order to be certified, an individual must attend all 3 workshops for the certification area and complete its demonstration of mastery requirements. (IF the artist is willing) a demonstration in person to the artist of mastery of the process. The videos or powerpoints can be sent to Lori Kissinger at userk7706@comcast.net. Participants can select any workshop beginning with the June workshop on notecard marbling with Kathy Plourde. *The art technique workshops will be the exception to the 3 hour workshop rule as they are typically 2 hours. Workshops in the Business Certification area will include: Framing and Preparation for Exhibiting (Can be substituted for a performing artist if he/she attended one of the days of the Crescendo Music Institute or for dancers who participate in any special dance training offered). There will be a workshop on how to find jobs and how to handle the money that is associated with those jobs. The third workshop will be on learning more about time management and transportation. Each workshop will have its own proficiency requirement. Workshops in Communication will include: Marketing/Resume Development/Interviewing, Public Speaking and Interpersonal Communication. *These training sessions supported by the Council on Developmental Disabilities. This status will be reached by an individual who becomes certified in all 3 certification areas. A special award will be presented to the individual at the annual induction ceremony. In order to pursue this award, an individual must have achieved the Master Teapot Diplomat rank. This Award will be presented at the annual induction ceremony. • Handle registration and reminders for the workshop. In order to pursue this award, an individual must have achieve the Master Teapot Diplomat rank. This Award will be presented at the annual induction ceremony.